The world globe has been used in classrooms for decades but in our modern world, they are just as relevant as when they were first introduced. Globes are versatile because they are suitable for very young children just starting out on the schooling journey right through to those who have almost finished. Globes can be used as a tool in science, geography and social studies classes as well as in the home. The saying ‘kids think the whole world revolves around them’ doesn’t just mean they’re acting like a spoilt brat. In the early years, kids don’t have much perspective outside of their home, suburb and school. A globe can show kids they are part of a larger world. Maps and globes have been redrawn many times throughout history. Older students can study the differences between an antique globe and a recent one. Globes need to be redrawn following wars, political unrest, reduction of forest areas and the addition of new cities. Understanding political and geographical changes in the world is an important lesson. 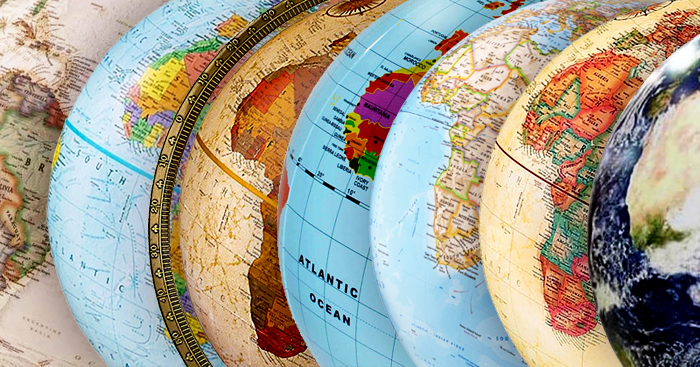 A globe can teach students the difference between location and culture between countries. Students can point to the countries of their heritage and gain an understanding of their forebears. Globes also help with learning the differences between land masses, average temperatures and rainfalls. World globes are perfect for kinaesthetic or tactile learning as it is also known. Rather than listening to a teacher or watching a video, a world globe can be a hands-on lesson that students will remember. Students can move the globe around and use their fingers to measure distances. Tactile learners can better understand the orbit of earth by walking the globe around the ‘sun’. As well as being the perfect decorator piece for a kids study or bedroom, globes act as a continuous educational piece. Seeing the globe every day allows kids to understand the distance between continents and the countries that make up the continents. Unlike a world jigsaw that gets packed up each day, a globe is always out on display. 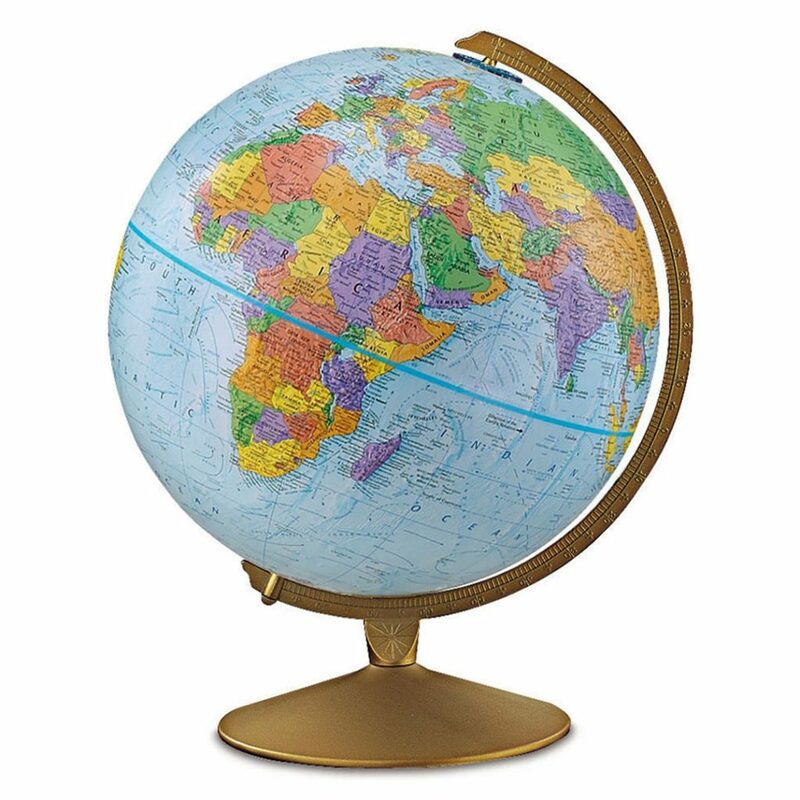 Our range of globes is extensive. The antique globes are made using traditional techniques using recycled and sustainable materials in the UK. The antique bronze effect metal meridian with up to date cartography is the perfect blend of form and function. Illuminated desk globes in a variety of colours from antique style to the Livingston with its raised mountain ranges. The National Geographic globes are very detailed, showing place names, country borders and oceans with undersea trenches and currents marked. 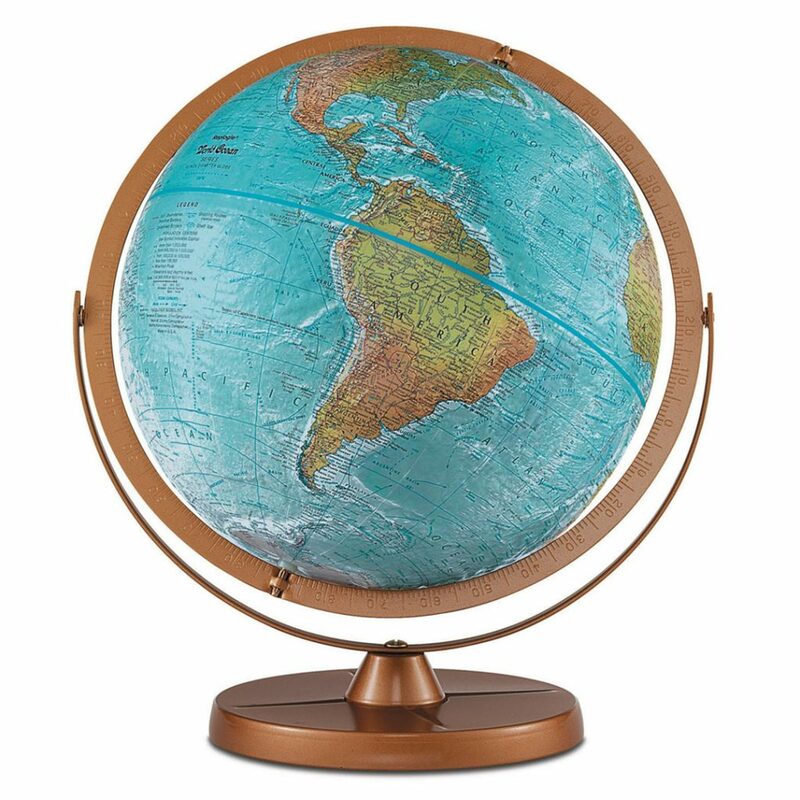 Come in store or search our shop online to find the globe that suits your classroom or child’s bedroom.